I agree with St. Augustine Record Opinion Editor and Fishing Columnist Jim Sutton's editorial endorsement of his former girlfriend, Nancy Sikes-Kline. 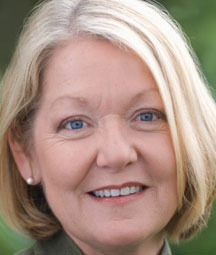 Nancy Sikes-Kline is seeking re-election to the St. Augustine City Commission. She faces challenger Chris Ellis. These are nonpartisan contests. Several attempts to set up an endorsement meeting with Ellis ended in failure. We reset meetings with Sikes-Kline several time to attempt to accommodate her opponent, to no avail. There were no particulars about exactly how he might fix mobility. We’d be very interested in meteorological machinations necessary to stop flooding and are uncertain what improving taxes might entail. Sikes-Kline was the opposite. There’s not much sense in stretching this out. Her resume is long, as has been her involvement in the city, predating by a couple of decades her terms on the City Commission. We had invited her in, again several times, for a meeting with us. She opted to come in on her own when we were unable to connect with Ellis. That 45-minute video is posted on staugustine.com, along with interviews with several other candidates for other offices. All the interviews are now complete and available the website for subscribers or on The Record’s Facebook page for anyone interested. If you want to see what a newspaper wants to see out of a candidate interview, take a look at hers. She was smart, compelling and almost intimidatingly on top of every question we had. We don’t believe she can stop flooding but, other than that, she’s a proven leader and an unapologetic cheerleader for St. Augustine and its real sanction as a city — preservation of a town and lifestyle clearly unique in the nation. Lose that, you’ve lost it all. She gets it — in spades. We recommend Sikes-Kline be returned to the City Commission.